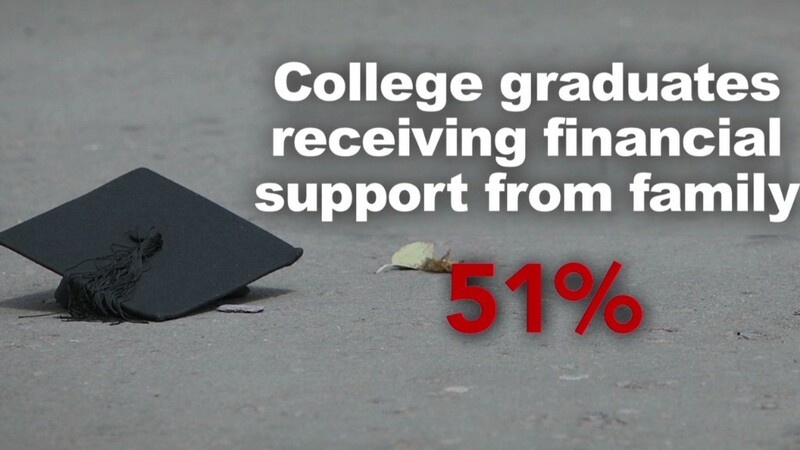 Steve Mason and his wife Darnelle have been struggling to pay their daughter's six-figure student loan debt ever since she passed away five years ago -- and now they are starting to get some much needed relief. After a CNNMoney story about the family's situation ran Tuesday, hundreds of readers reached out to offer words of encouragement -- and financial support -- to the family. So far, people have donated more than $10,000 through the Masons' GoFundMe page. 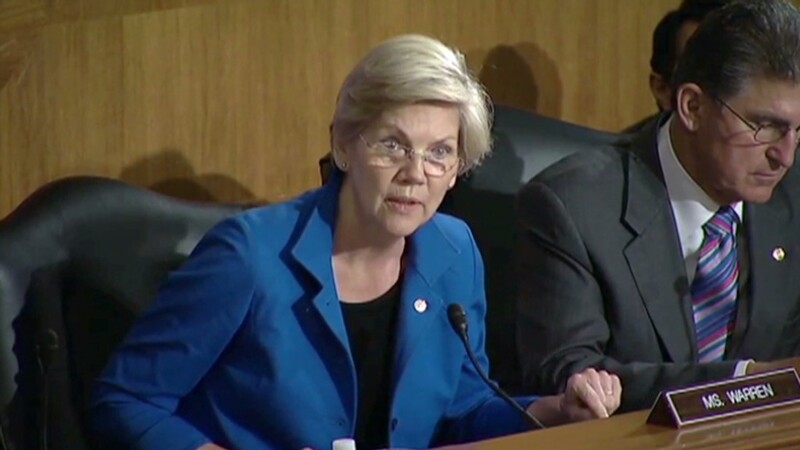 Senator Elizabeth Warren highlighted the family's story at a Senate Banking Committee hearing on Thursday. "We've been totally blown away," said Mason. "It's so encouraging to realize there's a lot of good people out there." His fund raising goal is set at $200,000, the amount he now owes the private student lenders. Mason says he was so desperate to help his daughter Lisa get a nursing degree that he co-signed the $100,000 in loans she took out -- never could he imagine that his daughter would pass away before the debts were paid off. When Lisa died of liver failure at the age 27 all of her student loan bills were immediately sent to the Masons. On a pastor's salary, Mason couldn't afford to care for his daughter's three children and keep up with the payments. Now, as a result of interest and late penalties, the loans have since doubled to $200,000. While federal loans are typically forgiven in situations like this, it's up to the private lenders to decide whether to offer relief to a struggling borrower. One of Mason's lenders, Navient Corp., reached out to Mason after being contacted by CNNMoney and lowered the interest rate to 0% on three of his four loans and reduced the total amount owed to $27,000 from nearly $35,000. Even better, Mason said a debt collection firm that had been trying to collect on another loan called him Wednesday to say they had seen the CNNMoney story and would like to forgive the entire loan balance of $15,000. Earlier this year, Mason had considered filing for bankruptcy. But it is very difficult -- often impossible -- to get private student loan debt discharged in bankruptcy, and Mason's lawyer told him he had such a slim chance of being approved that the legal costs would only add to his debt load. Mason has also started a petition on Change.org, urging President Obama to make it possible to discharge all types of student loan debt in bankruptcy. His petition has received more than 2,700 signatures so far. Other families who have lost a child and then become responsible for huge student loans have also created petitions on Change.org -- often aimed at getting their particular lender to offer some relief. Angela Smith, a mother from Chesapeake, Va., filed a petition on Change.org several years ago asking private loan provider First Marblehead Corp. to forgive the $40,000 in student loans that her husband had co-signed for their son Donte, who was shot to death in 2008. The petition received more than 150,000 signatures from sympathizers but there was no action from the lenders. There's been one other success story so far, however, where the brother of a deceased borrower petitioned a bank to stop going after his grieving father for payments, and the loan was forgiven. For Mason, the rush of support he has received after getting his story out there is beginning to change his whole outlook. "For the first time since our daughter's death, we have a little bit of hope," said Mason.